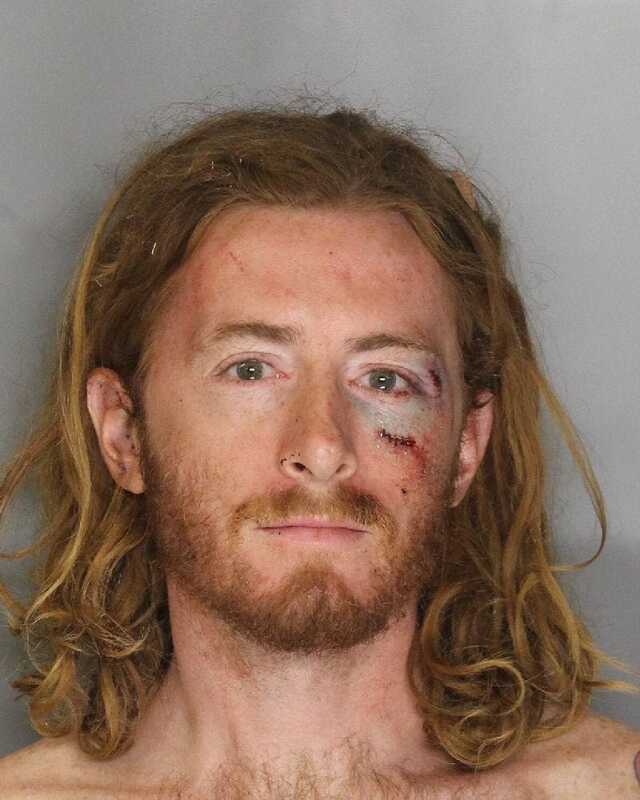 Sacramento police released the mugshot of Sean Thompson, the 32-year-old activist arrested last night after hitting disgraced soon-to-be former mayor Kevin Johnson with a pie. Given that this was taken after Thompson was stitched and cleaned up, it appears that early eyewitness reports that the pie-thrower was reduced to “a bloody pulp” by Johnson were dead on. The story could get bigger if photos or video of the incident leak out—if you have them, for the love of God email us at tips@deadspin.com!—but as of now, this ranks as Johnson’s second-most famous public brawl.